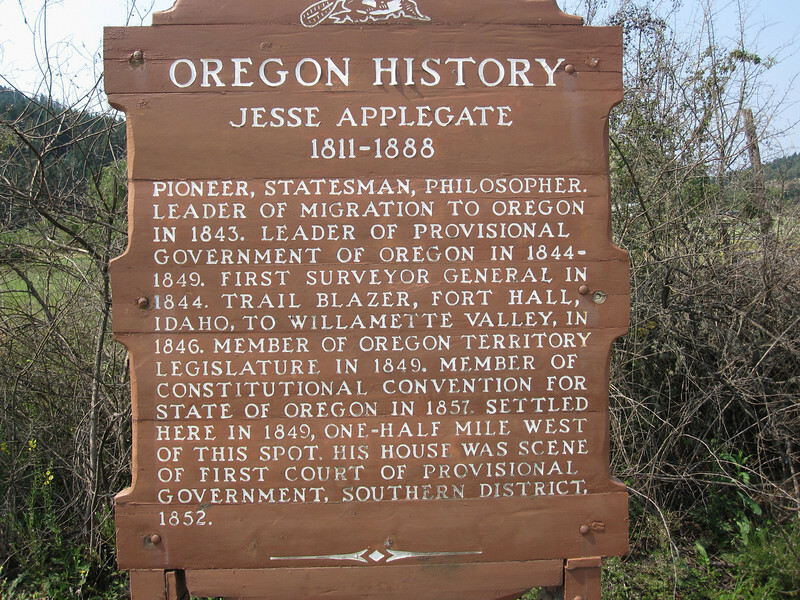 Jesse Applegate, along with his brothers, was an early and important settler of this part of the Willamette Valley. A southern branch of the Oregon Trail was named the Applegate Trail. The Applegates were seeking a safer route after some of their family members were drowned in the Columbia River. You see the Applegate name everywhere in this part of the state.